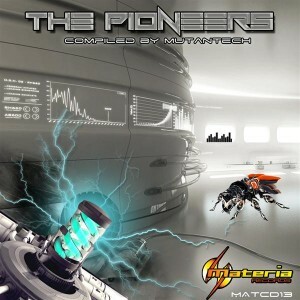 After two years of being in standby Materia Records, originally founded by DJ Anahata in 2004, is back and is proud to present its thirteenth release, The Pioneers. Compiled by DJ Mutantech (AKA DJ Jean Pierre), whose sophisticated selections highlight the talents of these artists, this release features ten songs previously tested at parties and festivals around the world. Mastering by The Darkface with artwork by X-Avenger. MP3 Download | FLAC Download | WAV Download · Download count: 8,630. Some excellent full-on selections! 5 Stars! exelent compilation!!!! now lets dance!!!! Amazing album !!! Thanks !! !